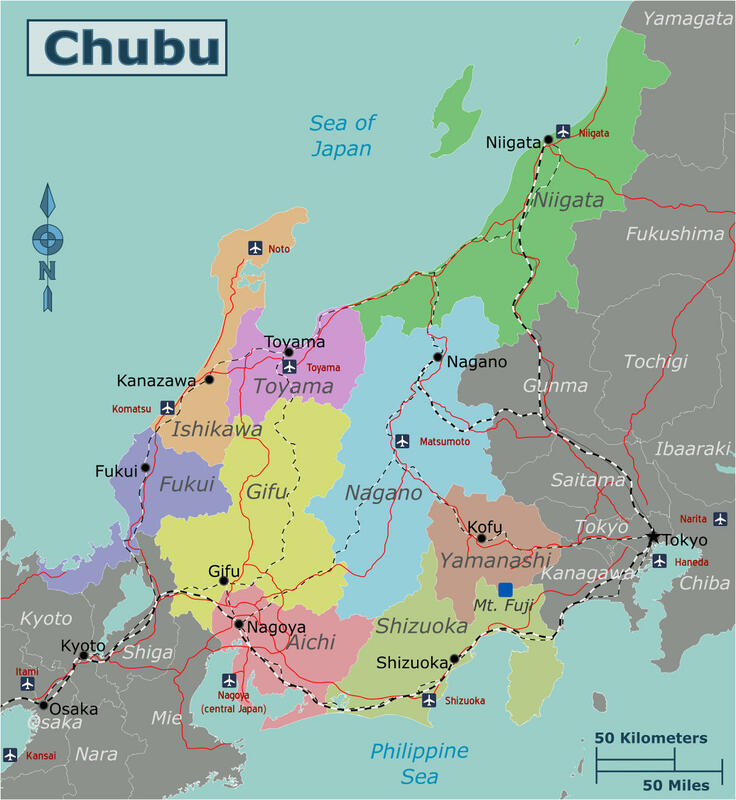 The Chubu region is located about halfway of the largest and most important island of the Japanese archipelago, Honshu. It is located in the middle between the two major regions of Japan, that of Tokyo to the west and that of Osaka and Kyoto to the east, and here is where stands one of the most famous symbols of Japan, Mount Fuji. This region is often snubbed by most of tourists who merely cross it in order to get to the Kansai from Tokyo or vice versa.